Great post Julie! I've never been to Humana. I'll have to put it on my calender next year and try to get down there! Thanks, Holly. I think you would enjoy it. It's a LOT of theater in one weekend (six full-length plays plus a program of three or four ten-minute plays and an anthology or some other showcase for the apprentice company). But it's fairly close to us and pretty exciting if you're into new plays. I'm not going to add up the number, Gail. :-) But it's a lot. I love the idea of a Heartland Road Trip to Louisville. 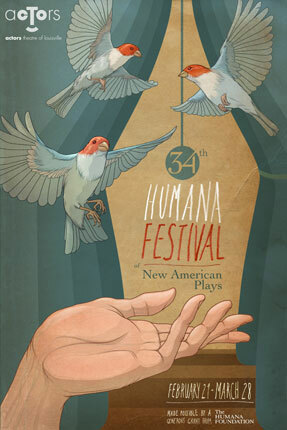 If there's a new play festival closer (like Chicago or St. Louis) I'd be up for that, too.